The Christmas Cookie Countdown Challenge. The first recipe is not a cookie. Neither is the second recipe (heads-up). I think I'd get real sick of cookies within a week if I made 25 different types. I got this idea from a fellow blogger (in this post here - my stuff doesn't look nearly as good as the picture in her blog) and the combination of two things I love was enough to make me decide then and there that this would be on the list. I chose to go with a quick and very simple way of making this. If you've got time click on that link and follow the recipe but if you need to throw together an easy desert fast, bake this up and let a scoop of ice cream melt over the brownies, straight from the oven. 1. Preheat oven to 350 degrees. In a bowl, mix together a brownie mix as directed on the back of the box. Generally this will call for water, oil, and an egg. 2. 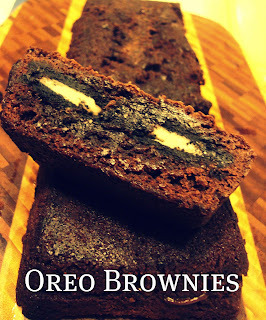 Pour half of the brownie batter into a loaf pan then top with oreo cookies. Cover with the remaining brownie batter and smooth it over the cookies. 3. Bake brownies for 35-40 minutes or until a knife inserted into the brownie comes out clean. Didn't I tell you it'd be easy? 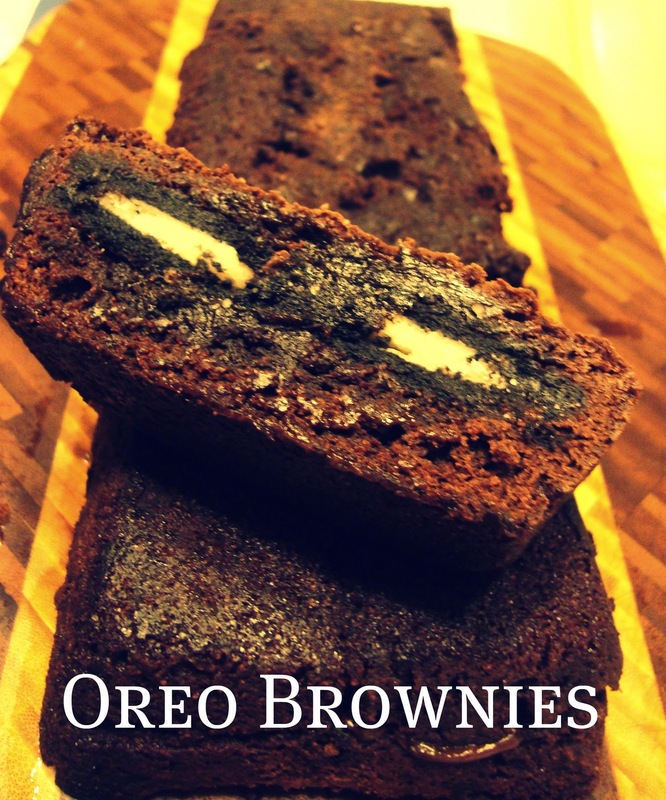 Plus people love brownies and oreos so put them together and give it to them and no one's going to question how you made them. 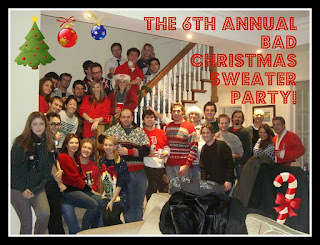 Now to start planning for the Bad Christmas Sweater Party! Now in it's 6th year!